Rochester, NY – October, 2017 – The desire to significantly increase capacity without sacrificing quality led Graphic Solutions Group to make a change in their large-format lineup. Graphic Solutions Group, headquartered in Kennesaw, GA is a full-service graphic communications company providing conventional offset, digital and large format printing, as well as offering fulfillment, mailing and promotional items. Graphic Solutions Group counts on their experienced team of over 70 professionals, most of whom have been in the printing industry for over 20 years. Graphic Solutions Group has been in the large-format printing business for nearly a decade and places a high priority on color accuracy and print quality. Their previous flatbed UV printers were comparatively slow, only printed in 4 colors and had no white ink capabilities. 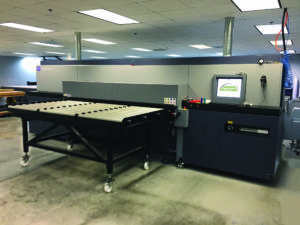 While customers were satisfied with the print quality, the production capacity to handle larger projects was lacking. That being said, many large projects were either being turned down or outsourced in order to meet customer deadlines. Determined to keep the work in-house, to control both production time and quality control, Graphic Solutions Group went on the search for a replacement. 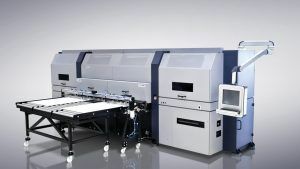 In acquiring the Durst Rho P10 250 HS Plus, the high-speed large format printer, Graphic Solutions Group has reduced their need to increase manpower, printing roughly 6-8 times the volume than with previous equipment. In the past, standard turnaround time for small jobs was 3 business days. Now, many small jobs can be turned around in one day, and large projects with tight turnarounds are now produced in-house and ahead of schedule. 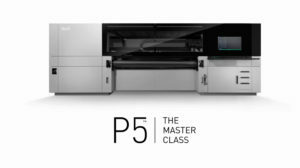 The Rho P10 250 HS Plus sets new quality standards in efficiency and versatility, with hybrid print capabilities on both rigid and roll media. The unrivaled fine art print quality will print a resolution up to 1,000 dpi. 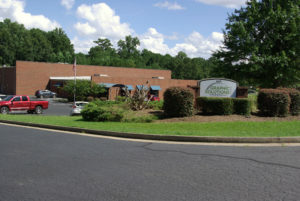 Graphic Solutions Group was founded in 1983 and is located just north of Atlanta in Kennesaw, Georgia with a sales office on Peachtree Industrial in Norcross , Georgia. A fulfillment warehouse is located thirty minutes north of our main plant in Cartersville, Georgia. With 72 employees and offering large format printing [banners, signs, vehicle wraps, POP displays etc. ], sheetfed printing [up to 40” and 6 colors] black and white high-speed laser printing, color digital printing and variable data laser personalization for direct mail. Graphic Solutions Group also offers a full line of promotional products, comprehensive services for mail campaigns, including list sorting, data management, and ink jetting.